pics and cheesecake: DT The Cut Shoppe - Go! Today I have a layout for The Cut Shoppe to share with you. I always get crazy excited when Ashley designs travel themed cut files, it's just simply the theme I scrap about the most. Last Thursday she added this awesome set of Pack Your Bags Tags to the store and I knew immediately what to do with this set. I started with creating a background with two of the tags and worked from there on. Tucked in the cluster there's a third tag from the set. 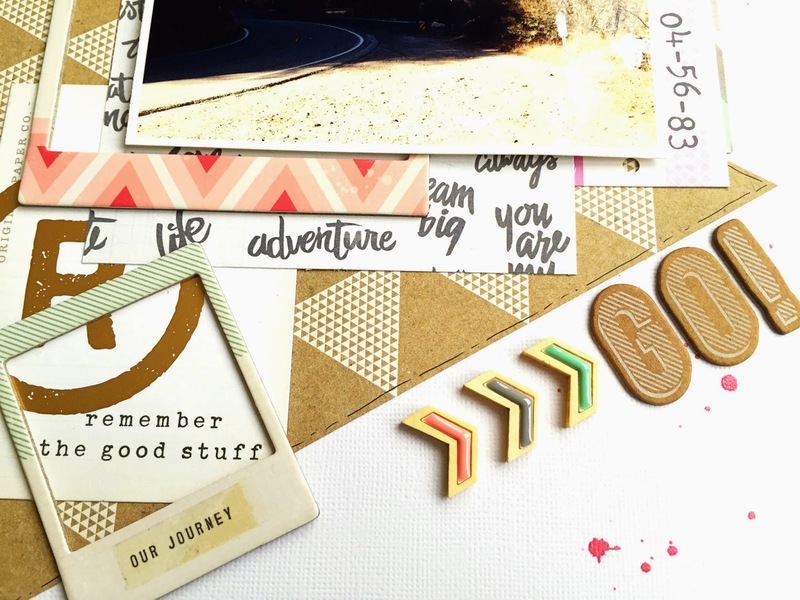 I used the Crate Paper Notes & Things collection and added some Pinkfresh Studio Wood Drop Chevrons, both from Paper Issues. 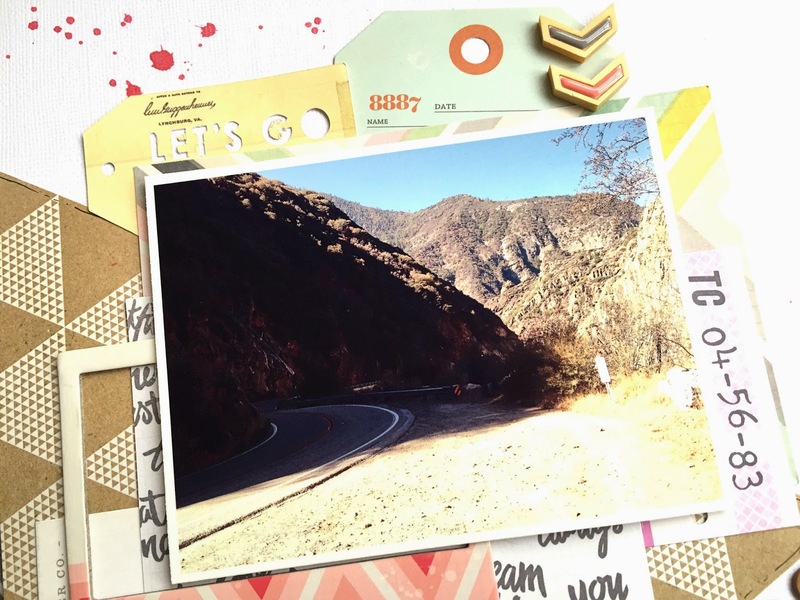 The picture that I used on this layout is taken a couple weeks ago in Kings Canyon National Park. 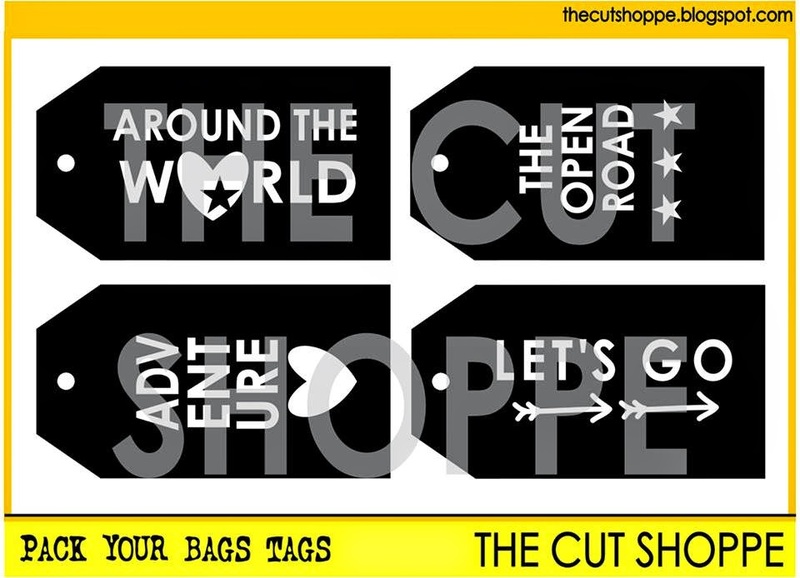 This is the Pack Your Bags Tags set and you can find it overhere in the store. Wow wow wow!! This is gorgeous! I loveeeeee the line of tags!!!!!!! You rocked this cut file, Danielle! 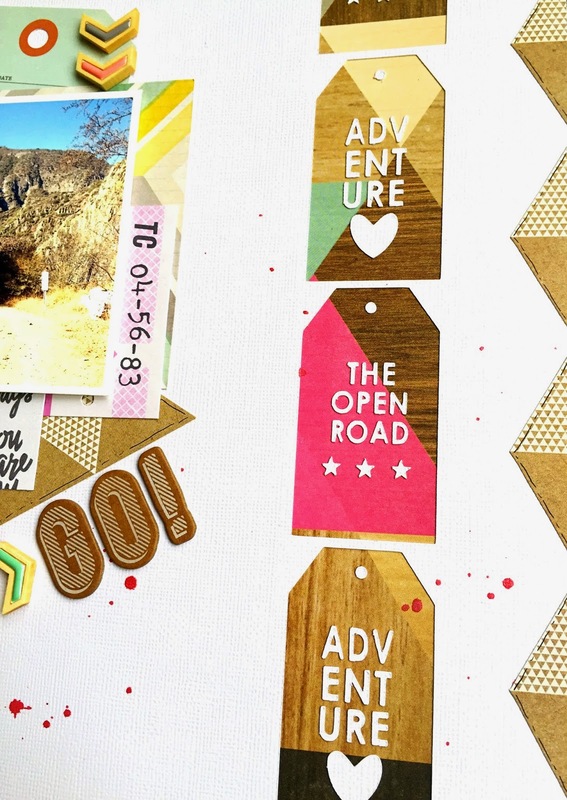 Such an awesome way to use the tags on your layout!! I love this, love the tag cut outs so much. I just got a pack of those chevrons from Cassie this week, LOVE them.